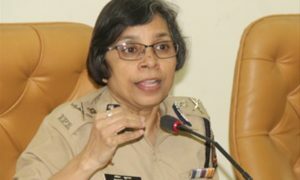 Pune 27 Dec 2017 (PCP NEWS) : Today the Mumbai court dropped charges under Maharashtra’s tough organised crime law Maharashtra Control of Organised Crime Act (MCOCA), against controversial Hindu leader Pragya Singh Thakur and Army officer Shrikant Prasad Purohit in the 2008 Malegaon blasts that killed six people. All accused had been charged under the MCOCA by the Maharashtra State Anti-Terrorist squad (ATS). The probe has since been taken over by the NIA, which has cleared Thakur and five others last year. 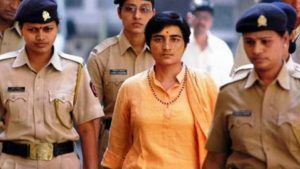 The NIA court said Pragya Singh Thakur cannot be exonerated of conspiracy charges as she was aware about a motorcycle that was used in the blast. 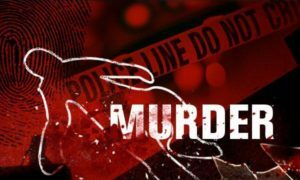 The court said the accused will face trial under sections 16 (Committing a Terror Act) and 18 (Criminal Conspiracy) of the Unlawful Activities Prevention Act (UAPA), and sections 120(b) (punishment of criminal conspiracy), 302 (Murder), 307 (Attempt to Murder) and 326 (Intentionally Causing Harm to others) of the Indian Penal Code.